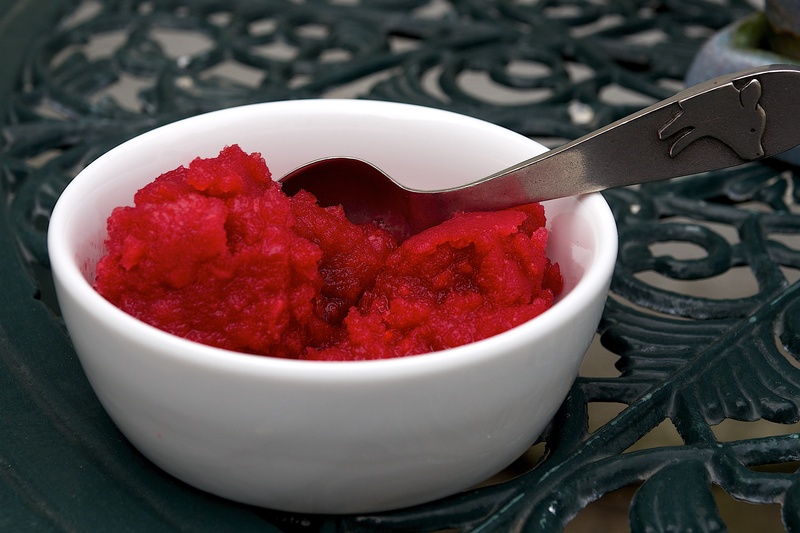 This amazing red sorbet is completely natural and is made from oranges with blood-coloured flesh. Blood oranges are a winter treat available from December to March. You need 20 for this recipe so look out for a good price later in the season. The sorbet is best served on the same day as it is made. Juice 19 of the oranges and measure the volume of liquid. Use half that volume of caster sugar. Cut the whole lemons and remaining orange into quarters and remove the pips. Place in a food processor with the sugar and pulse to a liquid. Add the orange juice and pulse once or twice to combine. Pour into an ice-cream machine and churn until frozen (or freeze in a container).